Tavares has ruled out selling PSA's stake in supplier Faurecia as part of the carmaker's profitability plan. 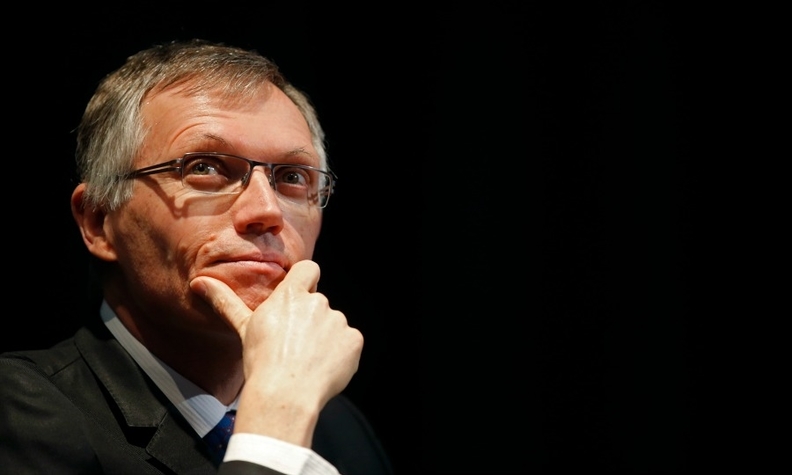 PARIS (Reuters) -- PSA/Peugeot-Citroen may seek more cost savings and does not rule out capacity cuts in France after 2016 if they are needed to turn the struggling carmaker around, new CEO Carlos Tavares said. Tavares also pledged to accelerate a 1.5 billion euro ($2.1 billion) savings drive already underway at the company. PSA expects to achieve positive free cash flow no later than 2016. "I am very confident we can pursue the turnaround of the company," he said. "We will come back to a positive cash flow no later than 2016. It may be 2015," Tavares said, adding that it will be at that point of positive free cash flow that the company "will make an assessment" of where it will go in future. Tavares was speaking on Monday in a press panel interview organized by French trade publication 7pm Auto, his first full interview since taking operational charge at PSA last month. He said PSA would not consider selling its 51.7 percent holding in parts supplier Faurecia as part of its profitability plan. He did not rule out a sale, but when asked why such a sale would not be part of an asset sale program to improve profitability, he said. "Because that's cash, not profitability. There's a big difference between putting cash in the bank and generating profit." PSA has promised not to close any French plants for two years under a pact with its workforce. "We are going to respect very rigorously the agreement we have with our unions, which means no factory will be closed until 2016 at least. That's the deal,"
Whether plant cuts are needed after that date "will depend on the results of the company," Tavares said. PSA is making good progress towards the existing savings goal announced in 2012 and could go further, Tavares also indicated. "I am not the kind of guy to stop at the objective just because he has reached the objective," he said. The 55-year-old former Renault chief operating officer was hired to lead PSA out of a six-year European slump that left the company on life support in the form of a 7 billion euro state guarantee, and needing more. PSA is preparing to sell 14 percent stakes to Dongfeng and the French state in a 3 billion euro capital increase - diluting its founding Peugeot family to the same level. Tavares gave a first hint of his plans for PSA on February 19, saying he saw "huge room for improvement" to its manufacturing and distribution businesses. A distant European No. 2 to market leader Volkswagen, PSA saw its regional market share tumble from 12.7 percent in 2012 to 11.9 percent last year as it racked up another net loss of 2.32 billion euros. The French state's arrival as a major shareholder will not prevent further restructuring further if necessary, Tavares said, adding that the government's 15 percent Renault holding had not prevented that carmaker from adjusting capacity. "It's part of my job to explain to our shareholders where are the levers for sustainable profitable growth," he said. "Everything we have seen so far from the presence of the French state on our competitor's board seems to indicate concretely that things can be done." PSA has already announced more than 10,000 job cuts over three years and halted production at its doomed Aulnay plant near Paris in 2013. The company also recently confirmed plans to cut its Poissy and Mulhouse factories down to one production line each from two. PSA still makes about a third of its cars in France, compared with less than 20 percent for Renault. Assembly line wage costs average 35 euros an hour in France, just over 20 euros in Spain and about half of that in eastern Europe. Under their framework deal, PSA and Dongfeng have agreed to expand an existing joint venture with new models and Asian export markets, aiming to triple sales to 1.5 million vehicles by 2020.